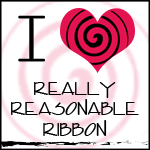 wheremmsgather: Rubbernecker Red Hot Mommas Blog Hop and Blog Candy! 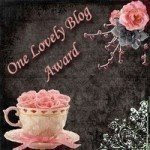 Rubbernecker Red Hot Mommas Blog Hop and Blog Candy! 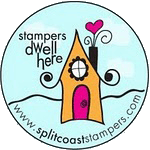 The Rubbernecker Red Hot Mommas are having a blog hop to showcase some of the newly released collections at Rubbernecker Stamps! If you haven’t seen these new images you will want to check them out! At the end of this post, I'll tell you how you can win some of these new releases. I made several cards for our blog hop because I wanted to show the various stamping techniques you can use with the floral images and get totally different looks. 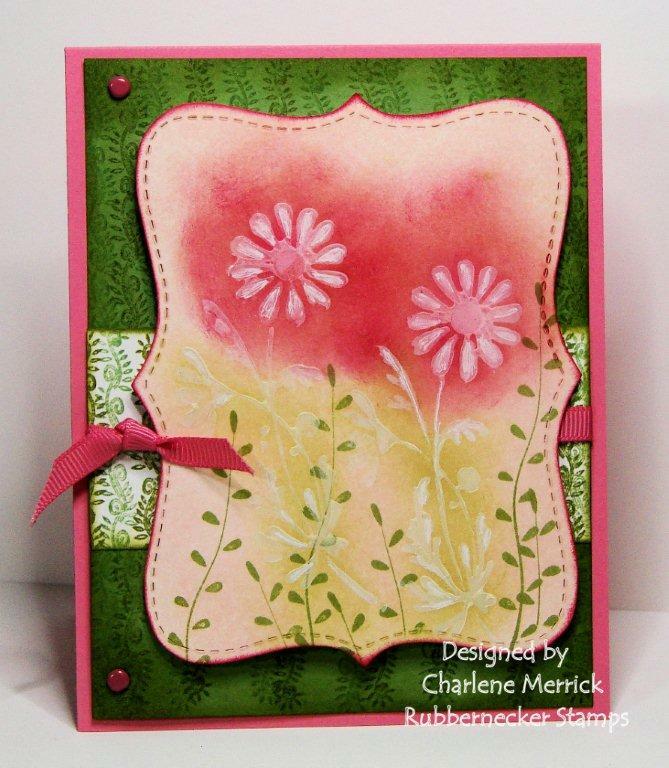 Card 1: I stamped my floral , weeds, and vine images after I colored them with my Stampin' Up markers directly onto my stamps. I then went over some of the images with a watercolor brush and reinkers to add some shading. You can also spritz your stamp with a light mist of water after you've applied the ink for a softer watercolored effect on your cardstock. Don't the images from these three sets blend beautifully? Card 2: I used the black magic technique on this beautiful flower image. I described how to do this technique in my previous blog post using white craft ink and watercolor pencils. I used a mixture of Stampin' Up pencils, Prismacolor Pencils, and SU metallic pencils to color this flower. 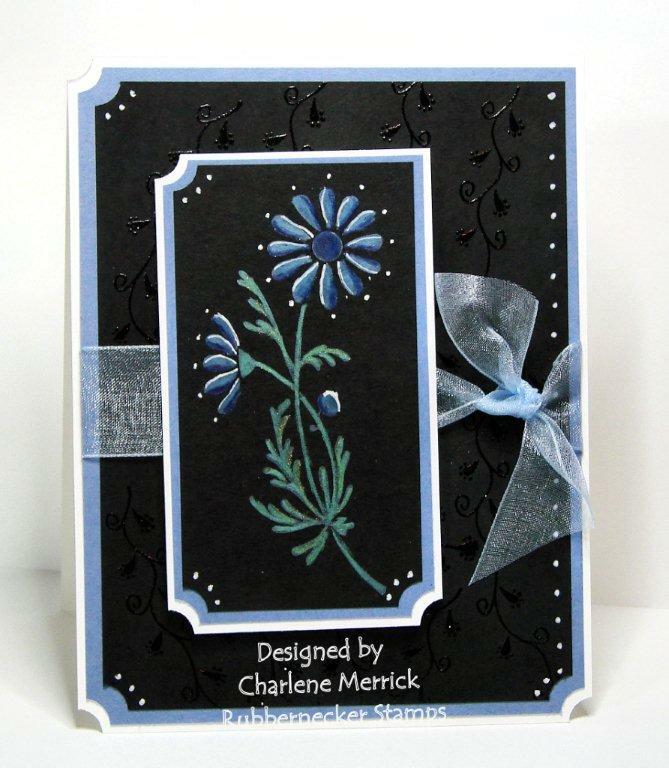 The clear embossed image on the black background is from Rubbernecker's Weeds collection and the flower from the Floral collection. Card 3: I gold embossed my flowers directly onto my wedding designer paper, as well as a separate piece of vellum. I trimmed the gold-embossed images on the vellum and adhered over top--and slightly off kilter--one of the others that was embossed on the designer paper. See that beautiful metallic gold paper? It was gifted to me from my sweet friend, Emily, whom most of you know as Stamp Muse---or the Divine Ms M on SCS. I embossed it with my music folder. Card 4: For this card, I used a technique called acrylic resist. This is where you apply white acrylic paint to your stamp, stamp the image onto your cardstock, and allow it to dry (you can use a heat tool to speed up the drying process). Once dry, I applied Tea Rose and Peeled Paint distress inks and Adirondack Cranberry ink over that and wiped away the excess ink over the floral image to reveal the white. I stamped Rubbernecker Vine images on the Wild Wasabi background piece and then sponged Peeled Paint distressed ink over the edges. I really like how well Regal Rose coordinates with the Wild Wasabi. For my last two cards, I'd like to introduce you to a couple of the newly released Rubbernecker fashion ladies. Card 5: Meet Elizabet. What I would give to have a bod like this! LOL! I wonder how she stays so trim carrying that basket full of chocolate bon bons. But I digress. I paper-pieced her skirt with some SU designer paper and watercolored the rest of her ensemble with Pink Pirouette, Close to Cocoa, Chocolate Chip, and Butterscotch inks. I felt she needed some gemstone bling, too. The sentiment is from the Fashion Icon #455 set. 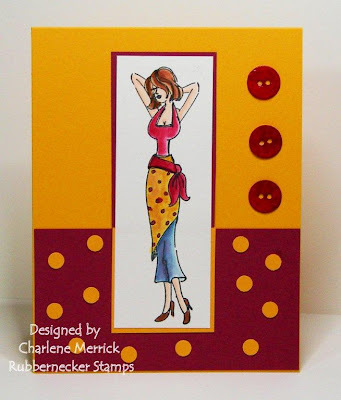 Card 6: Please give it up for Miss Carrie, another one of the Rubbernecker newly released fashion ladies. I went with a very different color combination for this smokin' hot lady and kept it simple to keep the focus on her. She just sizzles, so I thought she needed some "hot" colors! I watercolored her with Adirondack Cranberry, Butterscotch, Ginger, and Denim reinkers. I used my 1/4" circle punch for the Summer Sun dots on the Purely Pomegranate cardstock. I made my buttons with a die out of Purely Pomegranate dp, glued those to white cardstock cut out of the same die, and covered them with Crystal Effects for some added shine. If you made it this far through my lengthy blog post, thank you and kudos to you because now I want to tell you how you can win some of these new Rubbernecker images! Two winners will be chosen randomly from the comments left on all of the participating Red Hot Mommas' blog hop postings. Again, two winners will be chosen randomly from the comments left on all of the participating Red Hot Mommas' blog hop postings. Please be sure to let us know how to contact you! Posts may be made between 5:00 a.m. EST today thru 11:59 p.m. Wednesday, April 28. 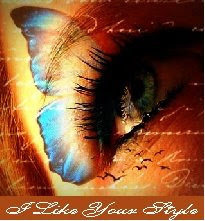 Winners will be announced on Bev Gerard's blog on Thursday! I will also post the winners. You weren't kidding when you said you made several cards. They are all wonderful but I especially love all the flower card and the colors on the first one is so perfect. Oh my goodness Charlene, each card is stunning. I especially love the ladies!!! Great job on each of them. I'm in LUV with your collection, Charlene! Personally, I wanna look like the last one ... Ohhhhhh what a dream that would be! You have completely knocked my socks off with this creations ... and I'm tickled to be hoppin' along in your cyber-presence today! Great job on all. Thanks for sharing and a chance to win. Well you've put me to shame. Look at all those wonderful creations. Each and everyone got oooohs and ahhhhhs from me. I love them all! Way to be creative my friend. 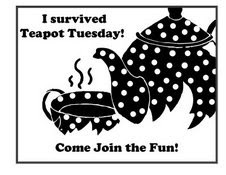 OMG, Charlene...you have been in a stampin frinzy....WOW!!! Each one of your cards is absolutely STUNNING!!!! The gorgeous flower garden on the first one is sooo awesome as are the flowers on the black and the gold beauties!!!! Your Fashion ladies look FABULOUS...just wish I looked so good...ya did good, gf!!! Absolutely stunning cards..and Ms. Carrie cracks me up! Each card is just perfect! LOVE them! thanks for the chance to wiN one of these AWESOME new releases! What a great job both using the new stamps and also some great techniques! Love all your cards Charlene!! Great job coloring the ladies! You have outdone yourself today. All your cards are gorgeous. Especially the ones with flowers and weeds. Great techniques. Gorgeous creations, Charlene. Your talents never cease to amaze! You have outdone yourself. I love the beautiful combinations of stamps. So inspiring. TFS. 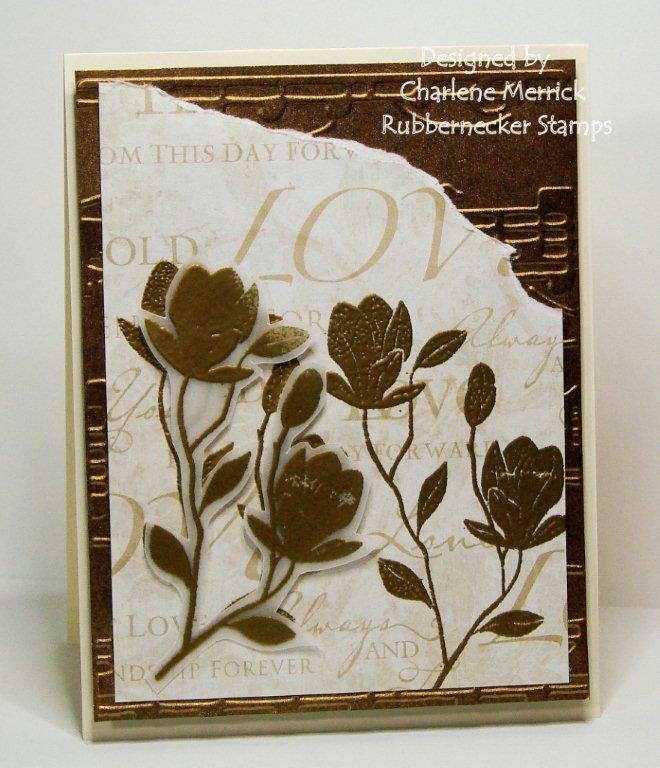 I am loving this release of stamps, so very versatile, your cards are fabbo, you have been busy but understand why when you have such great images to use! These are all fabulous! Oh the girl is a hoot and whohoo... hotties. lol Your flower cards are all beautiful, especially like the warm and chocolate flowers. Beautiful cards. 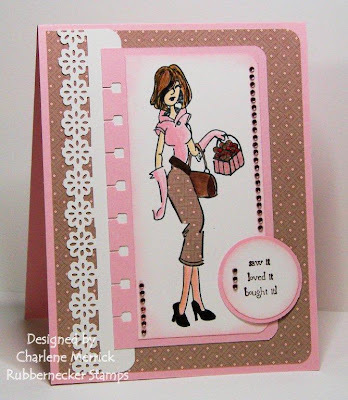 Oh my gosh Charlene, you have been very busy, all of your cards are wonderful, Love the flower images and your fashion ladies are so delightful! Wow, these are just stunning. Thanks for sharing them. 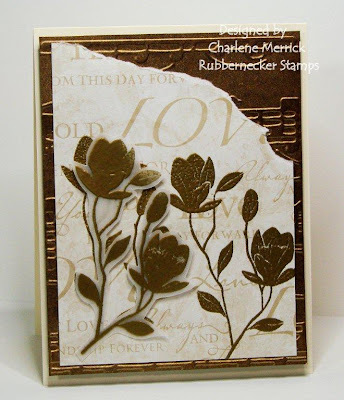 Hi Charlene, How could I not comment on all these beauties...you are one HOT stampin Mama!! Forget the fashionistas, it is you, they should make one with a stamp in her hand!! I love all your fun creations here, and you know me with florals and techniques and this was a good memory jolt of all the things we can do with these gorgeous stamps, and you did make all of these gorgeous! Great job, and thanks for all your inspirational ideas! hugs, friend!! Way to show many uses for the new flower inages! Charlene, just read your comment on my TPT card...well, I beat ya to it...I always like coming here to see what you're up to...and it's always something good!! All gorgeous!! Where's your magic time machine that gave you time to make all these. Can I book a time-share in it?? The colours in Carrie are fabulous, but my favourite has to number one. I always think that red and blue are lovely for wildflowers - even without the yellow for wheat, red and blue always make me think cornflowers and poppies. Ohhhhhhhhhhhhhhhhh!!!!!!!!! First I see all the M&M collectibles (I have a bunch of these as well! ), then I see this GORGEOUS floral card. Then another one and another one..... WOW! Love all your cards - thanks so much for the inspiration! Wow -- a lot of work went into creating these gorgeous cards. Love the black magic technique one in particular. Wow! Great cards! I love your color combinations! 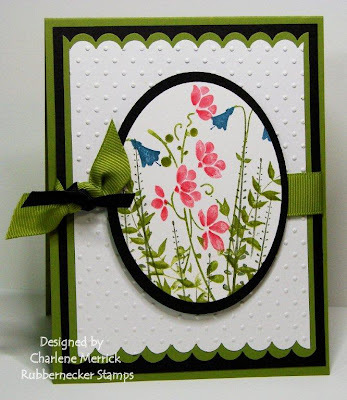 Thanks for showing us so many techniques with the floral,weeds and vines stamps--lots of inspiration! The ladies are wonderful too! Love all the cards...you were busy. Each card is so different from the one in front of it. HOLY MOLY!! I'm sooo impressed with all the creating you did for this hop!! Love all your cards and really enjoyed all the different techniques you did. Wonderful cards. Hi. This is my first time on your post and I am SO GLAD to find you. Your explanations of techniques used on the cards was AWESOME! I LOVE that. I love to be told how something was done so that I can try it too. Love all the cute cards. I'm having fun "hopping". WOW, is all I have to say about every single card on this hop...amazing and gorgeous. Love your cards a lot, they are amazing :)!